The Institute of Risk Management (IRM) has signed a group affiliate scheme agreement with Nigeria’s Chartered Institute of Loan and Risk Management (CILRM). The IRM is the leading global professional body for Enterprise Risk Management and currently has over 600 members across Africa, with active regional groups in Ghana, Kenya and South Africa. The organisation is currently in the process of setting up a group in Nigeria and Zimbabwe. Legislation dictates that all companies over a certain size must have qualified risk management professionals in place in the region, highlighting the importance of risk management to the success of both organisations and the economy. 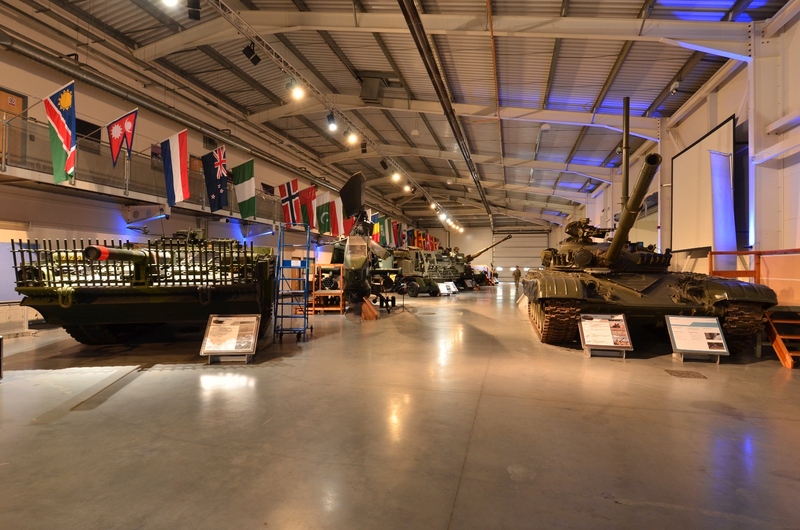 The scheme involves the CILRM purchasing 2,500 IRM group affiliate memberships which will then be allocated across the CILRM membership network. This means that the IRM’s counterparts can benefit from demonstrating their commitment to the risk management agenda by being part of a growing global network. Other membership benefits include events, qualifications, networking and access to online materials. Political instability caused by low oil prices, increased shareholder activism and the business threat posed by a potential UK exit from the EU are among the chief concerns voiced by some of the UK’s leading risk experts for 2015. 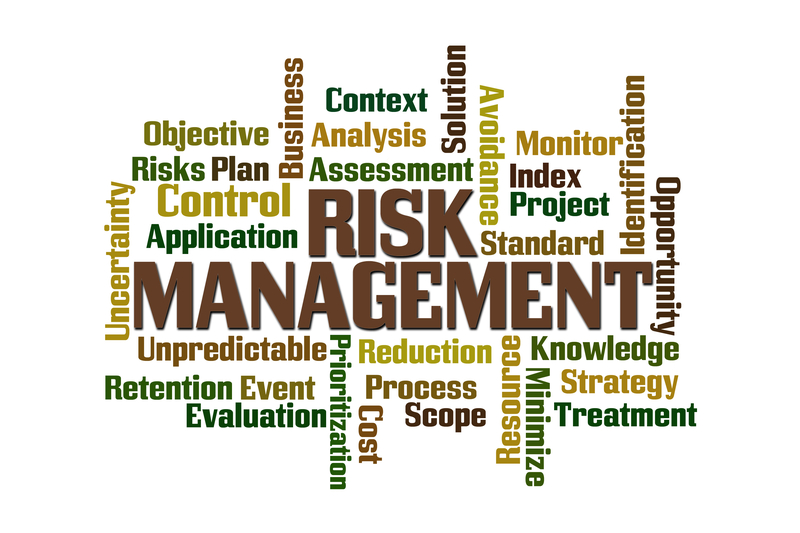 As 2014 draws to a close, members of the Institute of Risk Management (IRM) were asked to identify key risk areas for 2015. A broad range of oil and gas, political, healthcare, regulatory and insurance risks were highlighted as potential flashpoints. “The lower oil price will raise a number of risks, including political and social disruption in oil producing countries which, if not successfully managed, will impact on the world,” asserted Mark Boult, Fellow of the IRM and director at risk management consultancy DNV GL. A catastrophic major accident and physical asset integrity will remain a major industry focus for next year. “Such events are always – and always need to be – at the front of our minds given the impact they have on people, the environment and the business of the industry as a whole,” explained Boult. According to IRM commentators, new regulation is going to pose risks for companies and company directors in 2015. Taken together, the 2014 UK Corporate Governance Code and Financial Reporting Council’s Guidance on Risk Management will significantly upgrade the weaponry of shareholder activism in 2015. “Greater corporate governance and risk management education at Board level – including Company Secretaries – will be needed to mitigate against the risk posed by the new regulatory environment,” stated Mark Butterworth. Reduced profitability for the UK insurance sector is an identifiable risk for 2015 according to Enrico Bertagna, IRM affiliate and senior vice-president of business development at Allied World Europe Insurance. According to a new report published by the Institute of Risk Management, businesses responding to supply chain scandals with additional rules and regulations leave workers even more vulnerable. The Institute of Risk Management (IRM) report entitled ‘Extended Enterprise: Managing Risk in Complex 21st Century Organisations’ argues that the ‘modern commercial obsession’ with systems and processes obscures the real problem – failure to understand and predict human behaviour and build trust. The report urges companies to prioritise behavioural risk over ‘tick box compliance’ in order to tackle the ethical uncertainties present in today’s complex delivery networks. Back in August, a Chartered Institute of Purchasing and Supply survey of UK businesses revealed that nearly 75% of supply chain professionals admitted to having ‘zero visibility’ of the first stages of their supply chain. Shockingly, 11% acknowledged it was ‘likely’ that slave labour was used at some point in the process. Shareholders have a direct interest in whether a company takes a tick box or behavioural approach to organisation-wide risk management. A 2013 report published by the World Economic Forum highlighted the fact that significant supply chain disruption cuts the share price of affected companies by an average of 7%. ‘Extended Enterprise: Managing Risk in Complex 21st Century Organisations’ marks the transition from risk management of a single organisation to a coherent programme which meets the global and interdependent challenges of today’s joint endeavours. Made up of IRM practitioners together with academic experts, the report’s project group has skilfully developed models, tools and techniques to help risk practitioners understand and manage risk across extended enterprises. The report offers recent multi-agency examples to demonstrate why there should be concern around extended enterprises. These include the scandal in the UK when horsemeat appeared in some beef supply chains, the management by some banks of their outsourced IT providers, failures in care homes and child protection in the UK and the tangle of responsibilities that became evident following the Macondo well disaster in the Gulf of Mexico. As well as supporting organisational performance, the IRM report claims that a better understanding of risk across the extended enterprise is also vital in tackling wider problems such as slavery, abuse, environmental damage and dangerous working conditions. The report argues that wilful blindness by organisations to these issues within their broader networks is unacceptable. Put simply, companies must now ask themselves whether any claims that they make about their values hold true across their extended enterprise. After two days of intense hands-on training and development, a new potential generation of UK cyber security defenders (including members of the public and military personnel) have been tested to see if they have what it takes to protect their country from online attacks. Held at the Defence Academy in Shrivenham, the Cyber Security Challenge UK’s new cyber camp was delivered by a number of the UK’s most prestigious cyber defence companies to help attendees gain foundation skills and confidence to take their first steps into the cyber security profession. The assessment on Friday 29 August was devised by cyber security operatives from GCHQ and witnessed brave candidates assemble a cyber team battling to overcome the threat of a cyber terrorist group, the Flag Day Associates, who have been staging a number of attacks in the UK over recent months. The latest incident was reported by the central security team at Parliament Square, a large central London meeting and conferencing space known to host classified gatherings characterised by high secrecy and sensitivity. The team confirmed that the web-based application that controls their intelligent building management software had been targeted and successfully compromised. Under the guidance of mentors from GCHQ and other industry experts, as well as previous Challenge candidates, the cyber camp recruits were assessed on their ability to run penetration testing as part of a full security assessment of the web application in order to identify the vulnerabilities that may have been exploited by the attackers. To prepare them for this test, the cyber camp recruits were taken through two days of training administered by some of the country’s leading cyber security experts. The final stage of the cyber camp witnessed candidates sitting their first professional qualification – the Certificate in Information Assurance Awareness (CIAA) – free of charge. This came courtesy of InfoSec Skills and its examination provider, the Global Certification Institute (GCI). Cyber camp attendees who performed particularly well were granted places on the new CESG-accredited Cyber Scheme Team Member course. 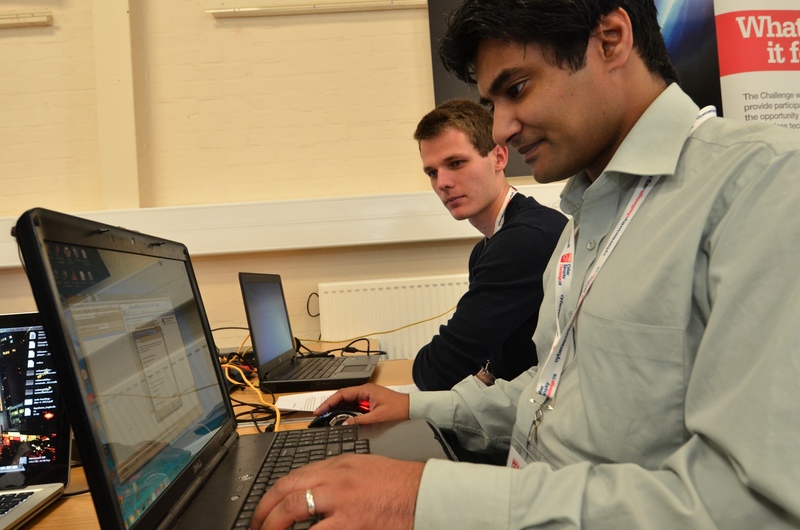 The Cyber Security Challenge UK began in 2010 as three competitions run by a small group of supporters from industry, Government and academia designed to address the growing skills gap in the UK cyber security profession. Now in its fifth year, the Challenge has grown its range of competitions to better represent the variety of skills currently demanded within the profession and is backed by over 75 sponsors from across UK Government (including through its National Cyber Security Programme) as well as major names from industry and academia. The cyber camps are a more recent addition to the Challenge competition programme. They sit alongside a variety of exciting virtual competitions and provide a first opportunity for candidates to begin crafting their skills.